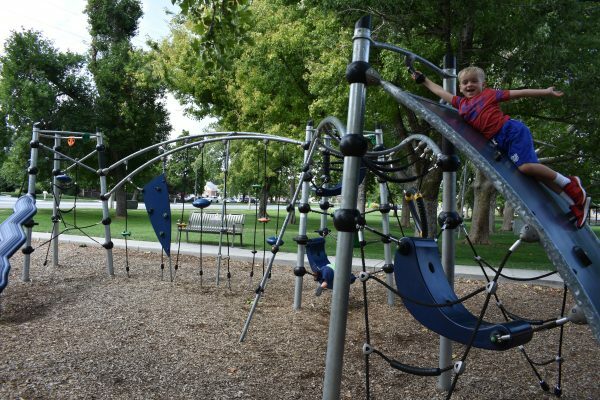 Bountiful City Park has a fun playground to check out. We stopped by to play at this super shady park and had a great time. 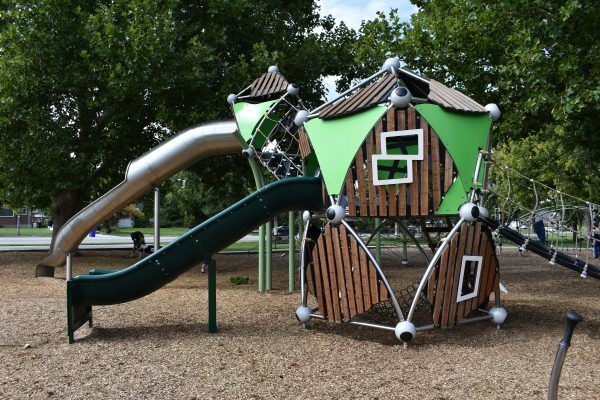 The playground looks like a treehouse, or as our youngest thought, like the Ewok houses in Star Wars. There are a few different slides coming off the treehouses, and lots of different ways to climb up. This playground offered many different play activities for our boys. This park was so cute to look at! It definitely looks like a treehouse to explore. There is also a large climbing pyramid. 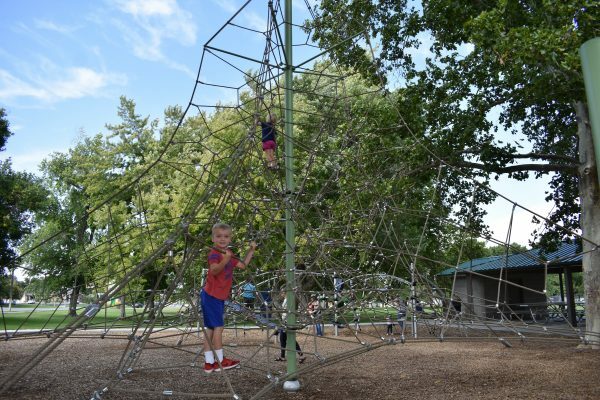 These pyramids are popping up in parks all over, but they are great for adventurous kids and they definitely keep our older boys entertained. 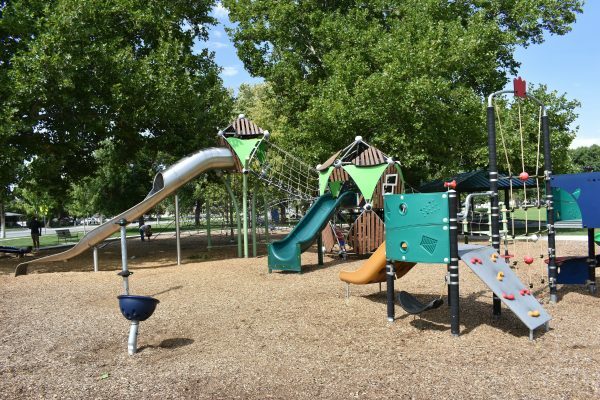 The park also has a small playground area for toddlers if they aren’t quite big enough for climbing on these larger toys. The climbing pyramid is a good challenge for kids. This is the smaller playground for the toddlers. It is right next to the treehouse so you can easily watch everyone at once. There are smaller spinning toys throughout the park as well. We also had fun climbing on another climbing area that had cords and a small rock wall to climb. This park was a great one for strengthening the climbing skills. 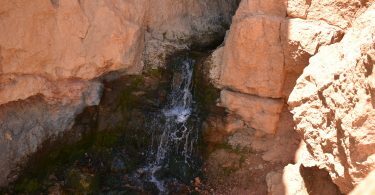 This climbing area provided lots of challenges. The best part of this park was the shade. There are huge shade trees that cover most of the park, and that means shade most of the day. 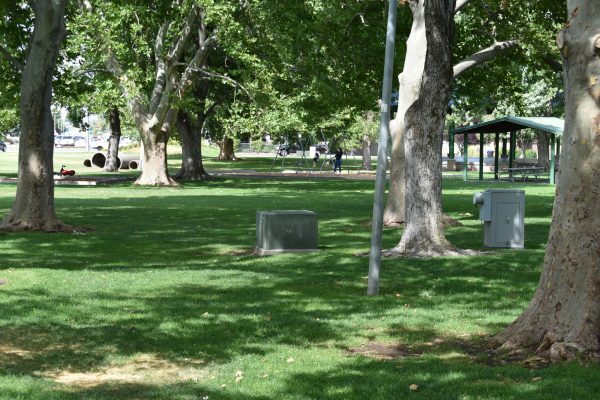 The park also has large grassy areas, and a few swings. The swings were quite a ways away from the playground, so we didn’t visit them. There are a few different pavilions throughout the park with tables, benches around the playground, and bathrooms. The swings are way far away! Phew! 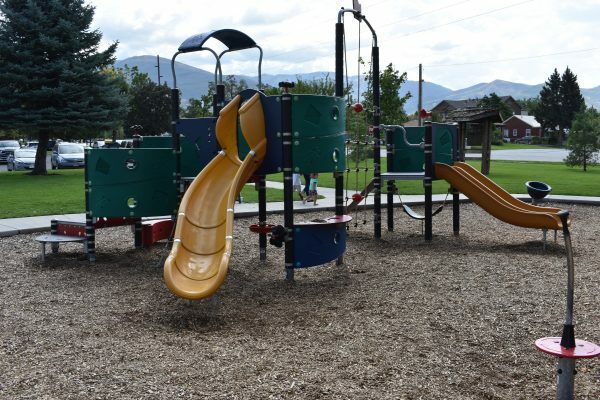 Bountiful City Park has a lot of fun toys! 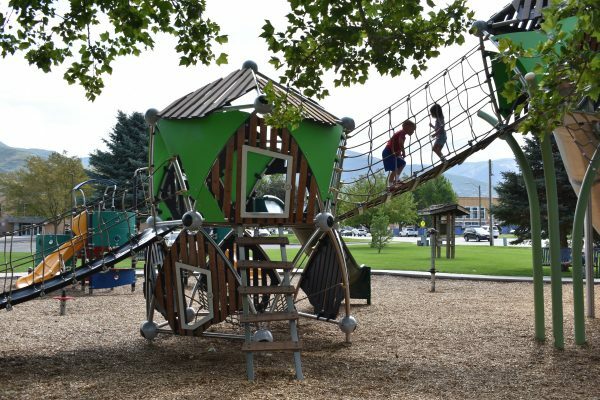 Bountiful City Park is a great place to play for kids of all ages. 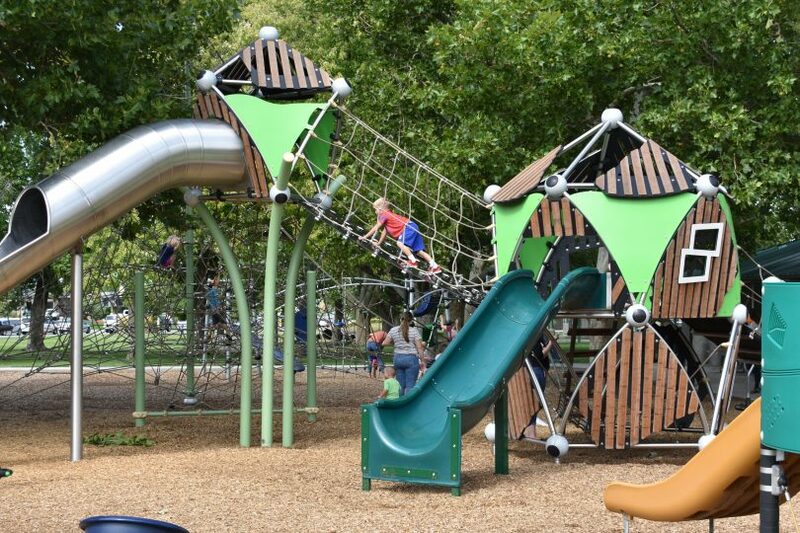 We felt that this park entertained a variety of kids, and can’t wait to visit again. 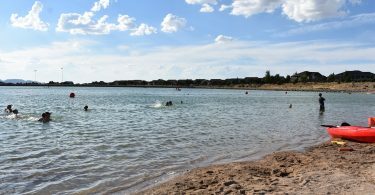 It is located at 400 N 200 W in Bountiful. 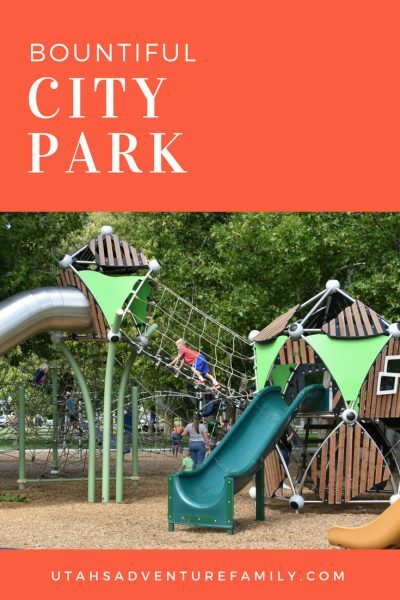 Creekside Park and Firefighters’ Park are close by if you want to do some park hopping!